“It’s a credit to Theresa May’s government that they’ve listened to concerns from the public, scientists, and MPs and taken a first step towards banning microbeads. Environmental pollution. 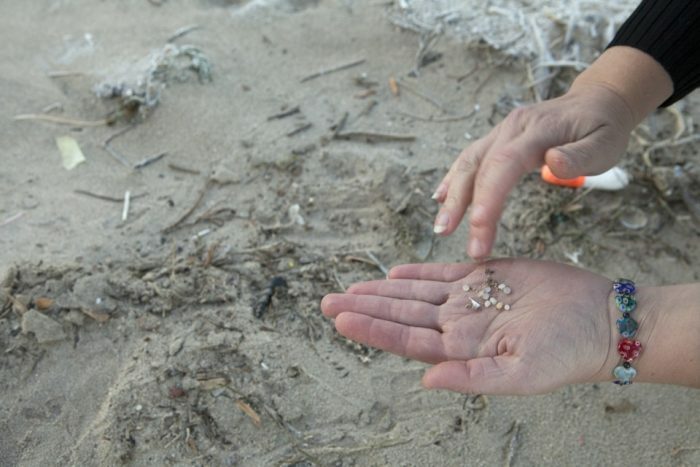 The world’s waterways are littered with these tiny balls of plastic – about 8 billion of them wind up in U.S. waterways each year. That’s enough to cover 300 tennis courts, but that only accounts for 1% of the microbeads in the world. Microbeads end up in sewage treatment plants, where they litter the land before runoff eventually sends them into streams and oceans. When you think of plastic pollution, you might think of larger items, like bottles. But the tiny size of microbeads actually makes them a bigger threat, because it’s easier for fish and animals to consume them. Plastic doesn’t break down in water, so fish mistake these confetti-sized chunks of plastic for food and eat them. In many cases, the fish become sick and die, but the risk doesn’t end there. The harmful substances found in plastics – PCB’s, flame retardants, and polyaromatic hydrocarbons, to name a few – transfer to the fish. Concentrations of these substances have been found in studies to build up in the creatures. This contamination moves up the food chain, so one has to wonder, are people also being sickened by microplastics in the environment? Some cosmetics manufacturers have already phased out microbeads in some, if not all, of their products, Unilever, Avon, and Bath & Body Works. A more comprehensive list can be found at BeatTheMicrobead.org/en. Products containing microbeads don’t always say “microbeads” on the label. If you’re looking for a “safe” product, look for words like polyethylene, polypropylene and polymethylmethacrylate, which are all the chemicals names of plastic. Nylon may also be listed along with the abbreviations PET, PTFE, and PMMA.